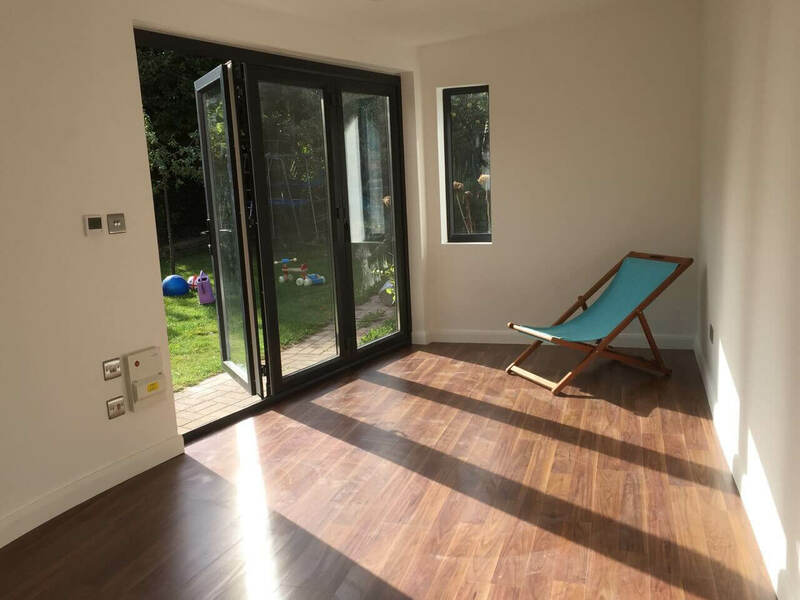 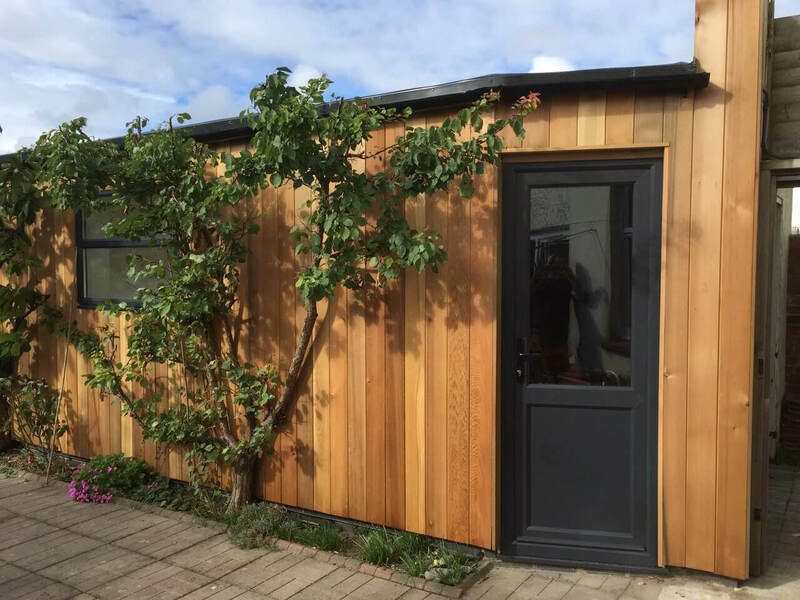 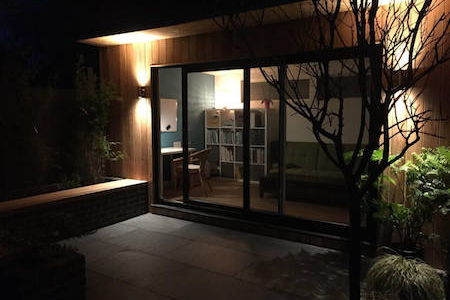 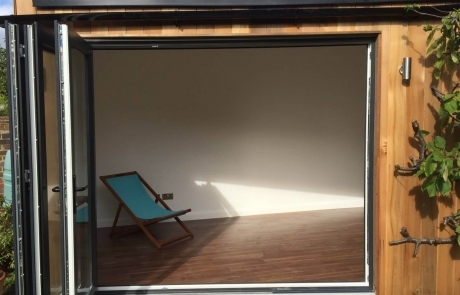 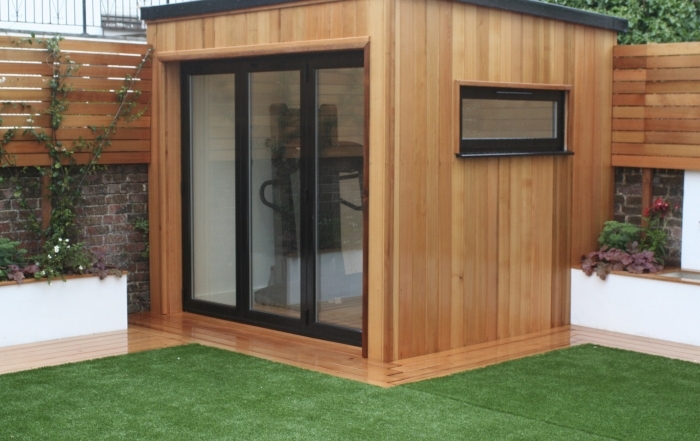 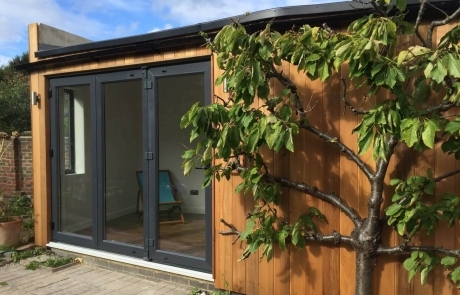 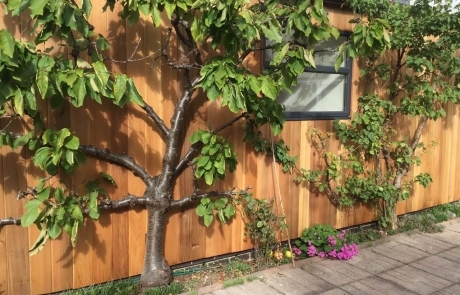 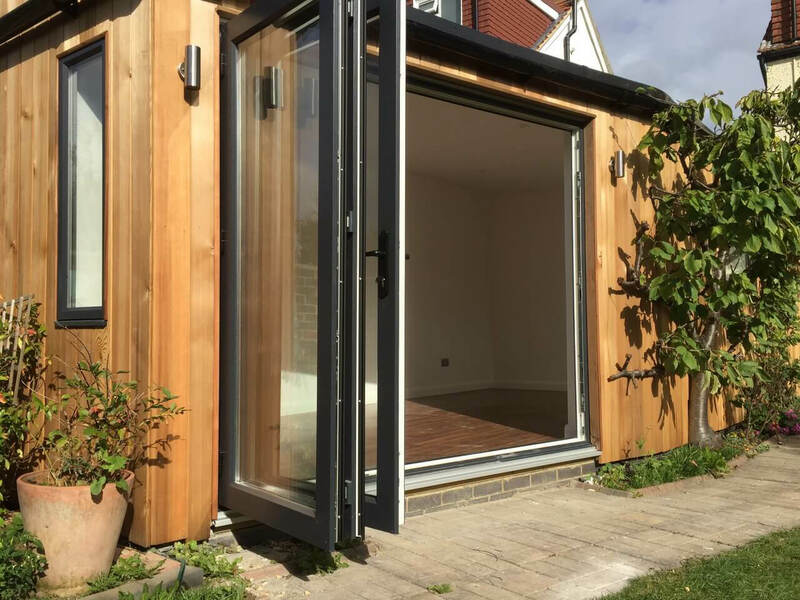 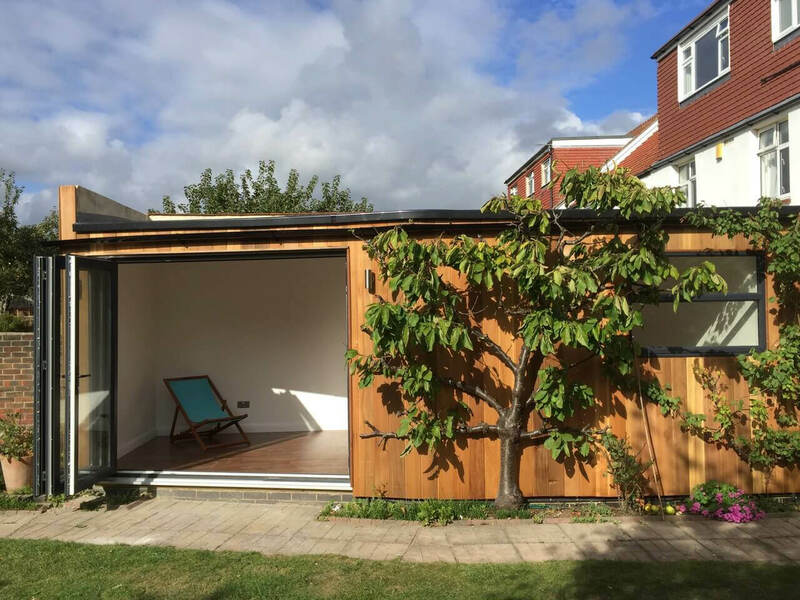 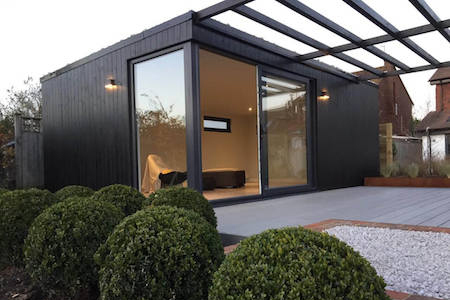 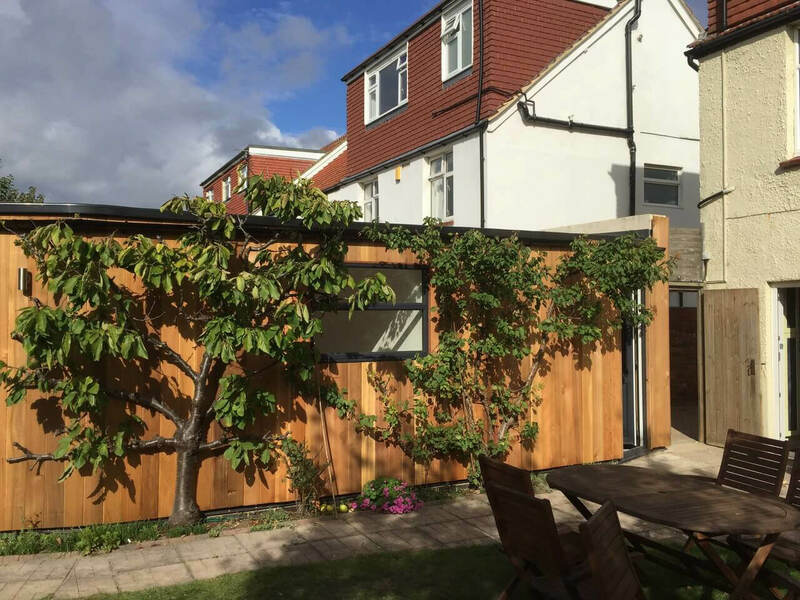 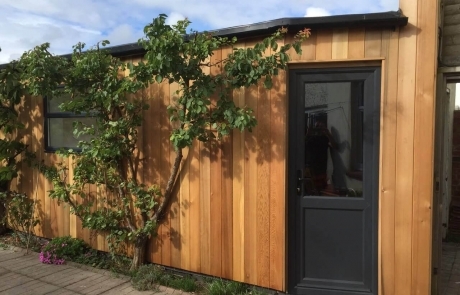 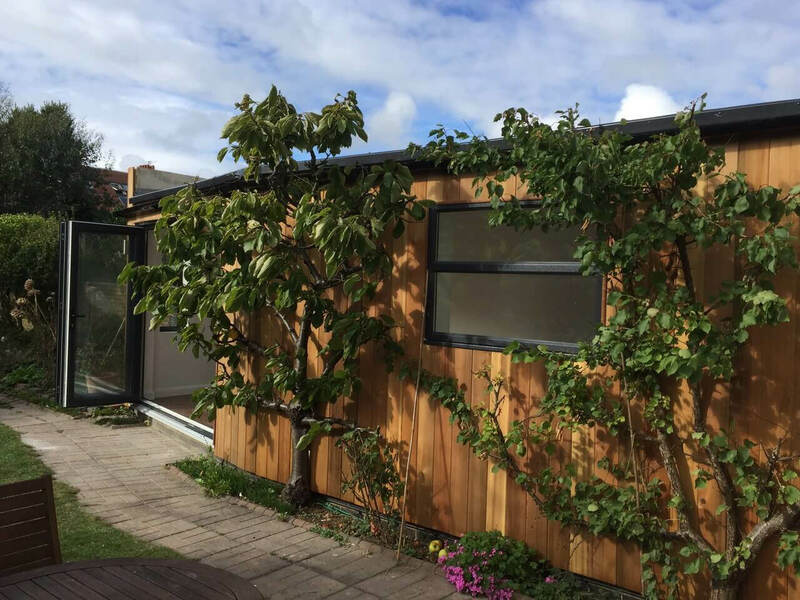 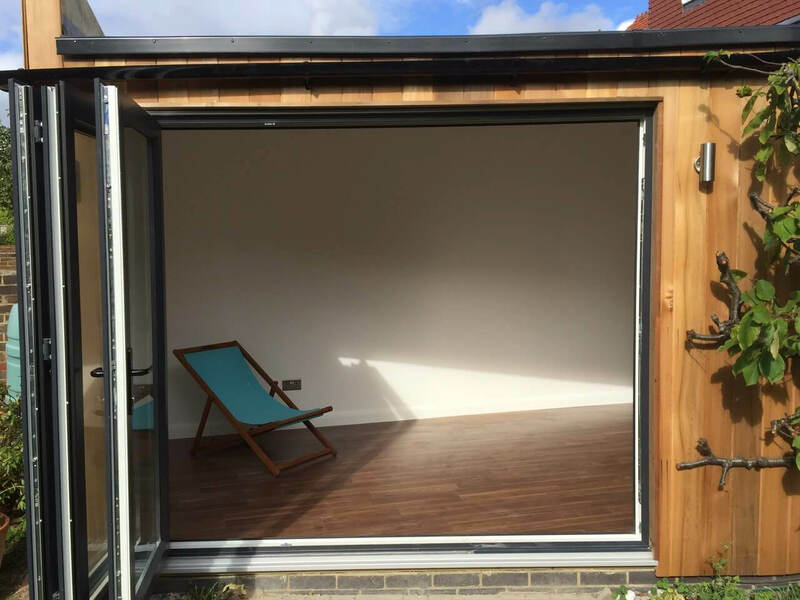 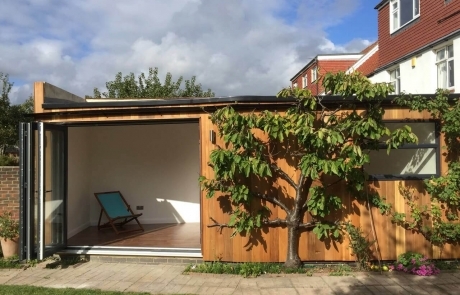 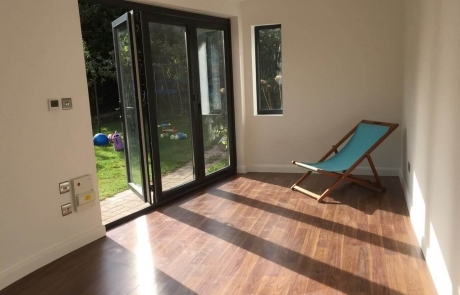 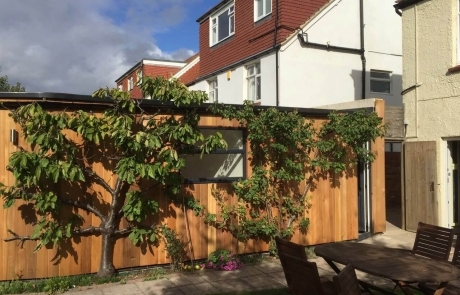 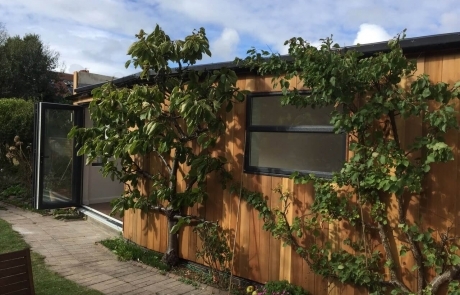 Josie and Bruno wanted us to replace their garage with a contemporary two-room building in their Hove garden, which they could use for play (table tennis! 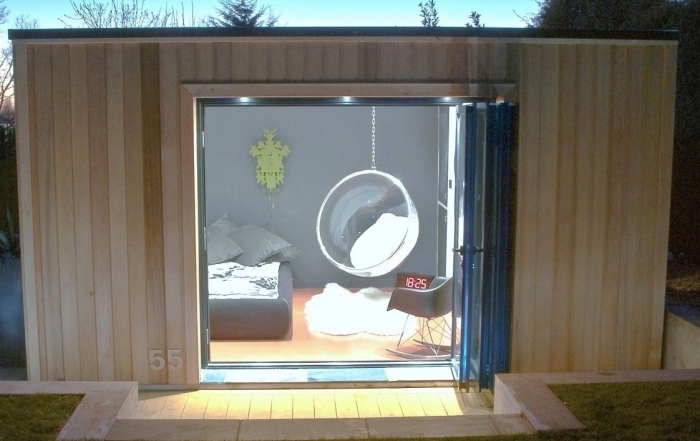 ), and for storage with separate doors. 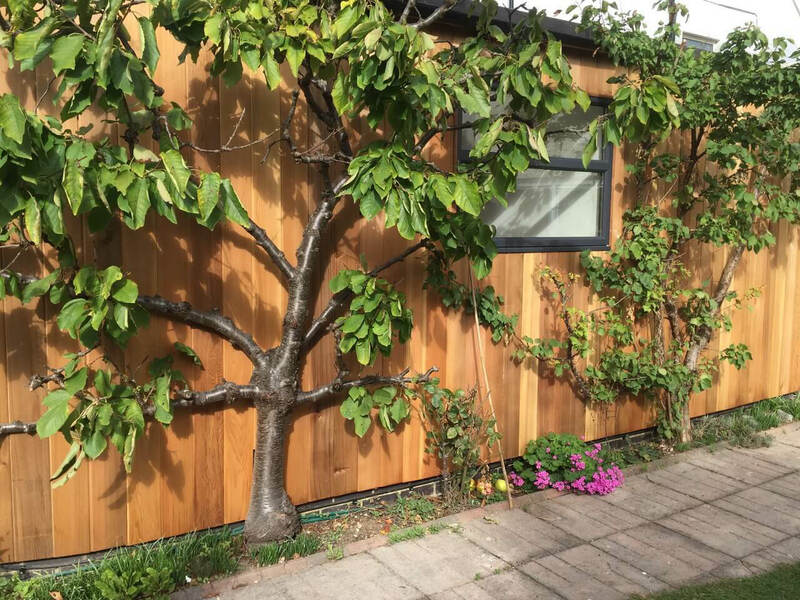 We managed to remove the structure while keeping the pleached cherry and apple trees which look so lovely against the new Abode structure. 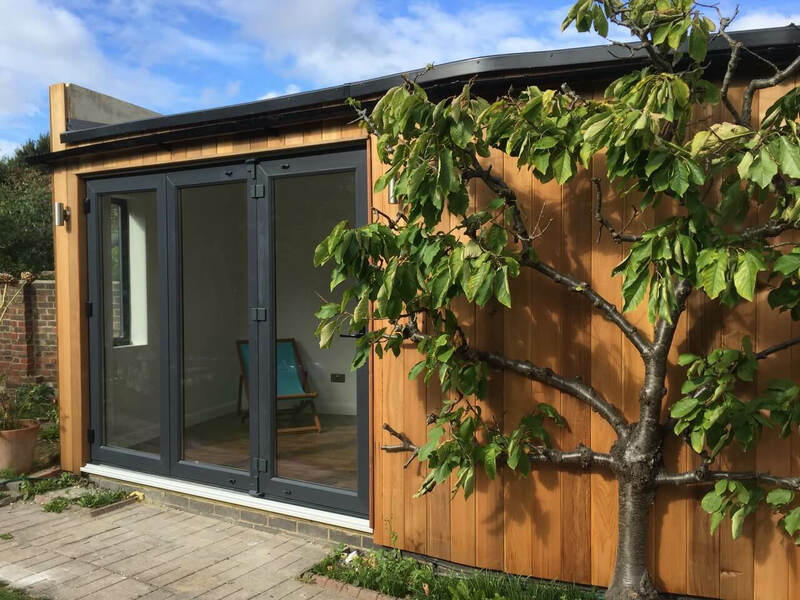 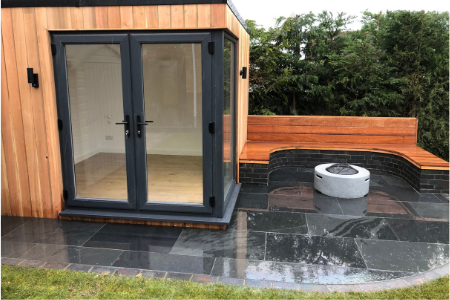 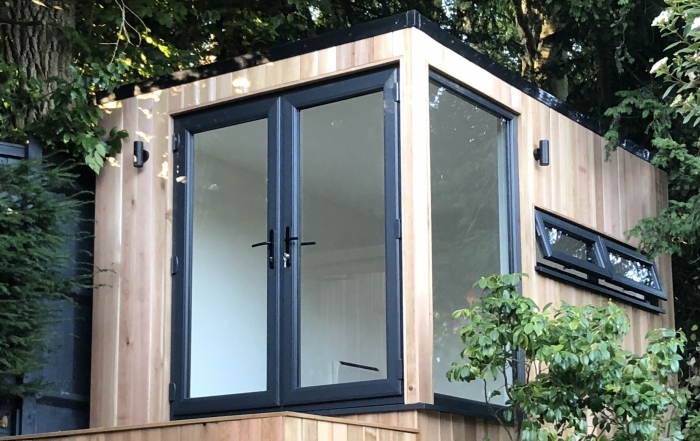 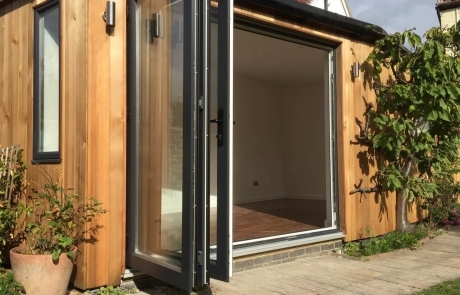 We placed the windows and doors around the trees, creating a large, airy room which fits perfectly with the existing garden.